Frank Blank Music: Techno Pop? Yesterday I ventured through a winter afternoon’s wind to Philadelphia’s World Café Live. The reason was to witness radio station WXPN’s weekly “Free at Noon” concert, which usually emanates from this venue and is broadcast on the station and its affiliates. I’ve grown to be distrustful of a WXPN endorsement when it comes to new music; just this week I heard extravagant fawning over shallow pap that literally sounded like a cross between Black Eyed Peas and Yo Gabba Gabba. But the description of New York’s Chairlift as an “electronic duo” piqued my interest. At the least, from a musician point of view, I decided it would be interesting to see what equipment they are using and hear how they use it. After all, in the most extreme cases of eMusic, rather than seeing musical improvisation and mastery over an instrument, you are witnessing the firing of events - whether the initiation of rhythm patterns or the launching and manipulation of loops. It’s kind of a different skill set entirely. Instead of continually creating music, once you’ve fired an event you’re off to the next one. As a result, the on-stage success of a technological-reliant artist often comes via the presentation. Sadly, Chairlift’s presence on the World Café Live stage proved to be a case of false advertising – rather than an electronic duo, I encountered a five-member band with traditional instrumentation. Chairlift at World Cafe Live – not quite electronic, not quite a duo. Chairlift came across as a very talented high school band with an 80s electro fixation – think Our Daughter’s Wedding or early Human League. Focal point Caroline Polachek doesn't have an unpleasant voice, but seems lacking in self-assurance when it comes to building rapport with an audience. 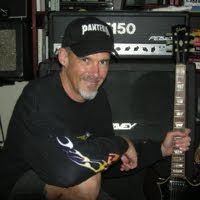 Despite the high-profile nature of the gig, Polacheck only made one remark other than “thank you,” and that was after the radio broadcast had concluded. No one else seemed inclined to step into the between-song void either. I guess here in 2012 I should be happy that they were using actual instruments, but the fact that Chairlift is freshly signed to Columbia Records and on the verge of releasing an album next week speaks as much to the wasteland that major labels now wander as it does to actual talent being bestowed upon the world. As for the personnel expansion from duo to five-piece, based on what I saw Chairlift’s core duo of Polacheck and Patrick Wimberly are at a stage of artistic maturity where the conjuring up of gripping visions to support an electronic performance is impossible. Of course, the undisputed standard for presentation of such technological ambiance is Kraftwerk. Ohm sweet ohm – Kraftwerk at work, 2004. Surprisingly, though, Kraftwerk not only presents a compelling experience in concert, they also belie the notion of their performances consisting of nothing more than clinical, digital recreations of their influential music. The German founders of an entire genre of music released a fabulous DVD titled Minimum-Maximum (a titled shared by audio-only CD and SACD releases) in 2005. 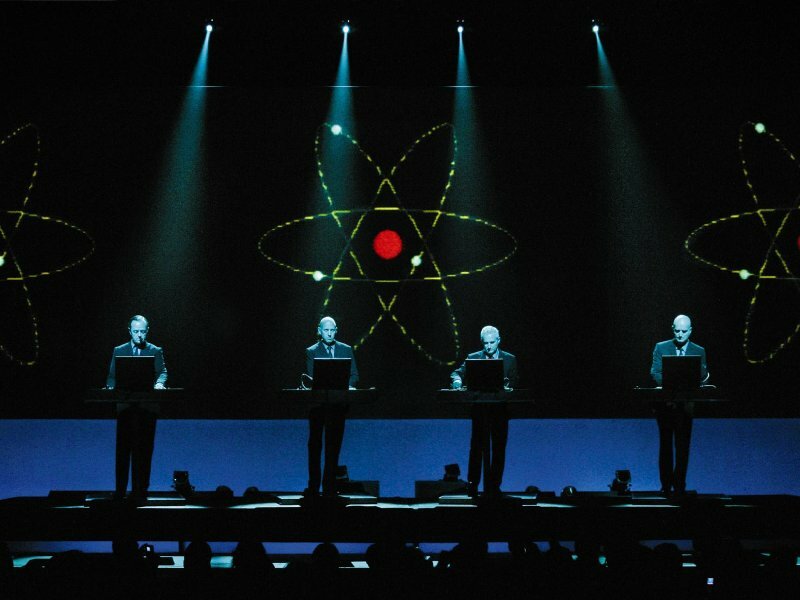 Documenting the group’s concerts of 2004, the footage revealed that Kraftwerk taking a very organic approach to their stage work, building their songs live as opposed to merely launching audio clips and canned rhythm. Presenting electronic music live as a vivid, breathing entity presents a huge challenge to those whose sound emerges from circuitry and memory rather than strings and sticks. Based on Chairlift’s all-too-conventional concert for WXPN, it’s a challenge that was not accepted.